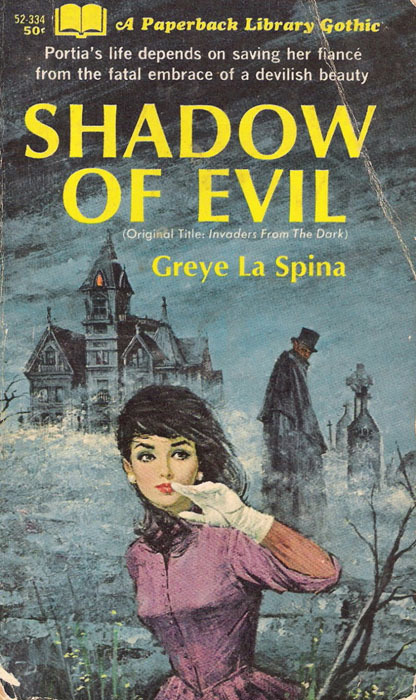 A significant contribution to the runaway success of the paperback Gothic Romance boom of the late 60s and early 70s was the seductively sinister cover illustrations. Unlike the majority of today’s romance novel cover art, paranormal and otherwise, which tends to focus on a peacock alpha male with his shaved chest pumped and oiled to entice the reader to pick him up from the bookstore shelf or download him to her eReader, the Golden Era Gothic Romances emphasized the mystery aspects of the genre’s content. The template showed a frightened heroine desperate to escape a sinister looking house or castle thrust phallus-like against a storm-tossed sky. Whenever a male figure did appear he was but a shadowy figure in the background, his features intentionally obscured by shadows and a billowing black cloak. If this wasn’t enough to make a Gentle Reader’s heart skip a beat as she dug fifty cents out of her purse, what was? To heighten the sense of threat, the foreboding house often had a narrow sliver of light in a single window like a watchful eye keeping track of the desperately fleeing heroine to make certain she didn’t stray too far from the grounds of the estate. This lighted window, in fact the entire motif of the Gothic Romance cover, was the brainchild of one man, Lou Marchetti. One of my favorite details on these covers is the fact that the desperate heroine always has time to slip on her travelling gloves before she flees the house of menace. 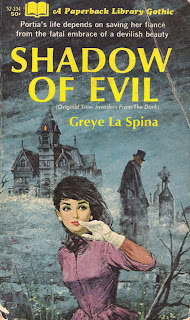 From the early 1950s through the late 1980s, Marchetti was a prolific cover artist in all genres for the leading paperback publishers of the era including Avon, Ballantine, Pocket Books, Dell Warner, Lancer, Popular Library and Fawcett Publishing. 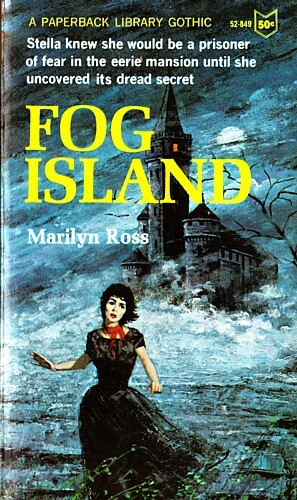 Scans of Marchetti’s Gothic Romance cover illustrations are plentiful and easy to find on the internet, but unlike other Gothic Romance cover artists, Marchetti’s legacy is kept alive by his daughter Louise Marchetti Zeitlin on the website Loumarchetti.com featuring original cover art (sans titles and lettering) of both Gothic Romance as well as his equally outstanding work for pulp fiction genres such as crime, noir, and juvenile delinquent titles. 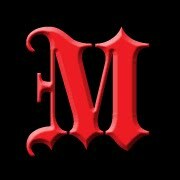 More cover artwork can also be viewed on the Lou Marchetti Facebook page. Fantastic! I heard a possibly apocryphal anecdote from my old bookstore boss years ago: Gothic romances that *didn't* feature that one lit room in the castle sold miserably, and some publishers learned that the hard way. Ever heard that one? Never heard that one. I don't think its necessarily true. 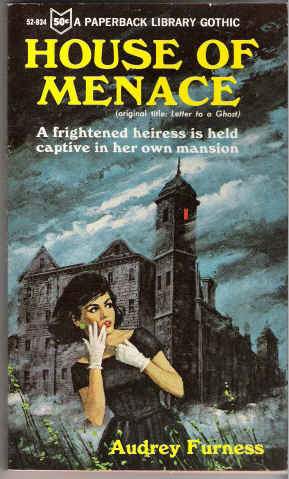 I'll be featuring some other GR cover artists in the future, notably Harry Bennett who never used the light in the window motif, and in fact rarely showed a house/castle on his covers. Bennett did a number of Fawcett Crest covers (which were reprints of hardcover GR and Romantic Suspense) including many bestselling authors of the day such as Barbara Michaels, Mary Stewart, and Victoria Holt. I enjoyed reading all the comments on this site.